The Dubai based Chinese technology company Innjoo is a fast growing company known for the ability of providing smart devices as well as software services in the MEA area. Innjo has been know as one of the top mobile company producing phones of great specification at low selling price. Once again the Chinese technology company has launch another outstanding smartphone, the Innjoo 4 which is the upgraded version of Innjoo 3.
innjoo 4 is design to attract customers at first view with its sense skin plastic body and a very flat shape which only weight 165g adding to the elegance of the flagship smartphone. Innjoo 4 sports a 5.5-inch IPS display which is protected by a 2.5D glass with Dimension (mm) of 155.50 x 69.80 x 8.90 and a resolution of 1080 x 1920 pixels (400 ppi). it is powered by Mediatek Helio X20, which is the first tri- cluster CPU architecture deca-core processor in the world which combine to a 2.3GHz performs faster and more efficient. This android phone is a camera centered phone with camera capacity of 16 Mega pixel rear camera complimented by a phase detection auto-focus and 5 mega pixel front facing camera for selfie lovers. Injoo 4 runs on a 4GB RAM which makes it faster than any smartphone running on lesser RAM and at the same time flaunting a large storage space of 64GB expadable up to 128GB with a Micro SD-Card. This version of Innjoo also features Android version 6.0 marshmellow which complement all the other features em-packed in the smartphone. Memory 64GB expadable up to 128GB with a Micro SD-Card. Sensors Accelerometer, Proximity sensor,light sensor. 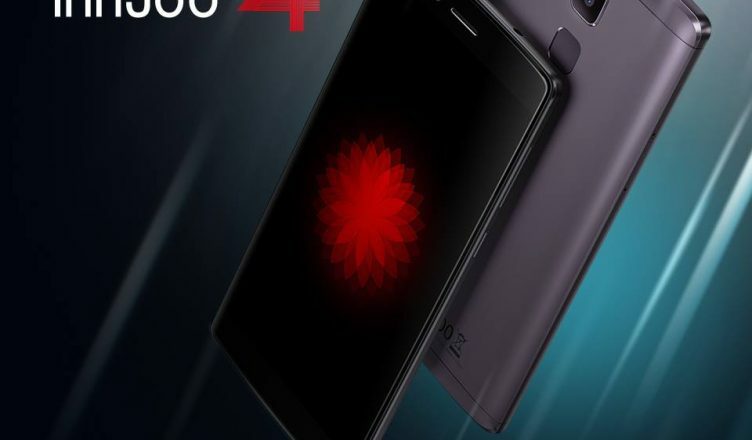 Where To Buy Innjoo 4 In Nigeria. In case you will love to buy a smartphone of great features and at the same time pocket friendly, innjoo 4 is the phone for you. Get yours as soon as it’s out in the market, however for convenience and quality buy it from an online shopping store. The best website to visit to buy your innjoo 4 is Kara.com.ng where you will enjoy fast delivery to your location in Nigeria within 24 hours to 48 hours, good customer support and ability to choose any mode of payment for your goods.